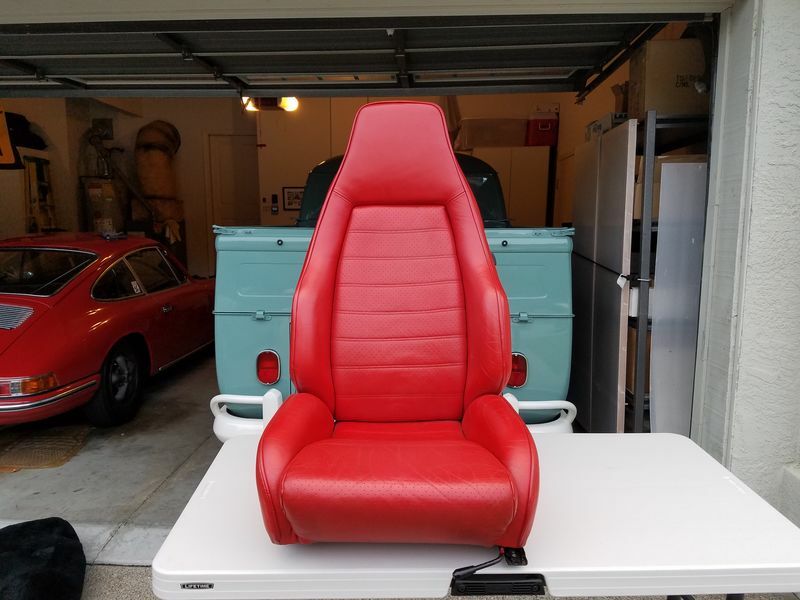 Sorry for lazy ad but here goes: Im selling an almost complete interior set in restored original red leather ideal for 1977 thru 1980 930 or SC coupe. 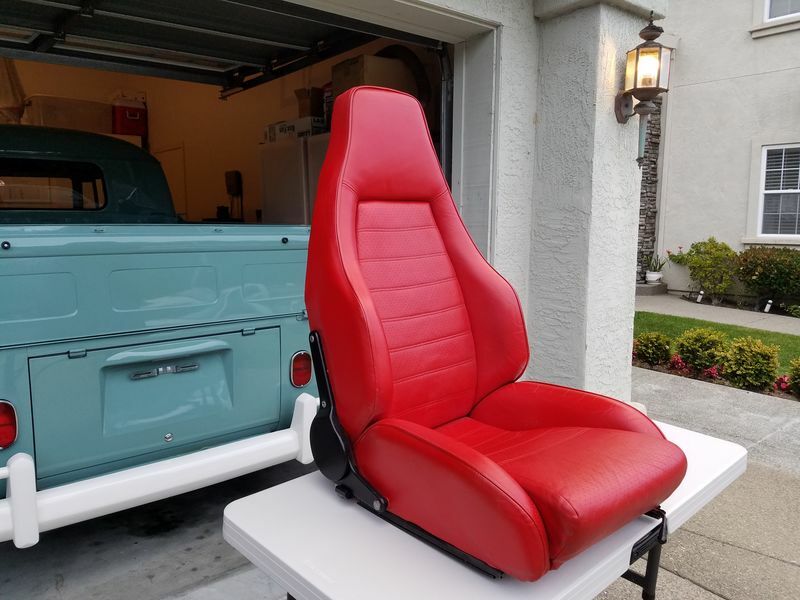 What you get: pair of restored Recaro sport seats in excellent "like new" condition, 4 door tops, 4 side panels, cutouts for power window, round lock lever & door speakers, 2 map pockets, front door pulls, rear seats, rear package tray, front center console, 3 piece lower dash knee pads including ashtray & matching red carpet. 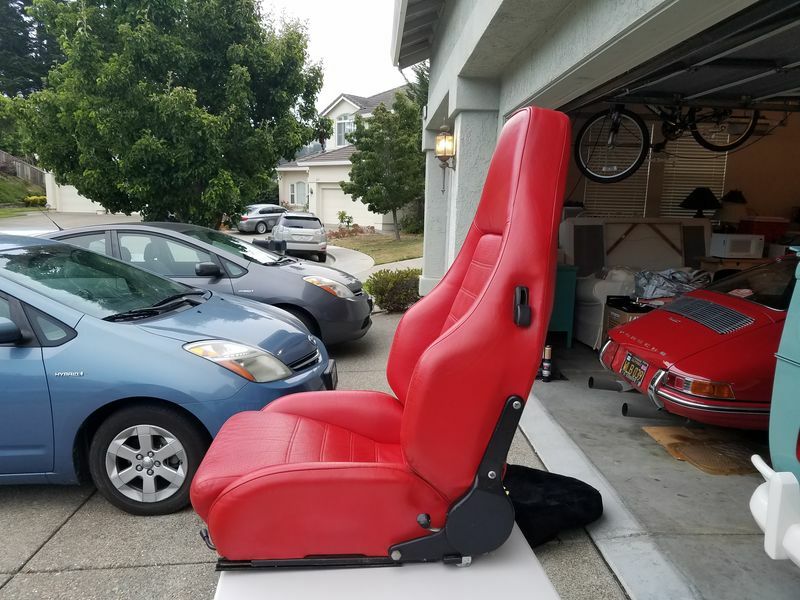 Only item missing is front dash. 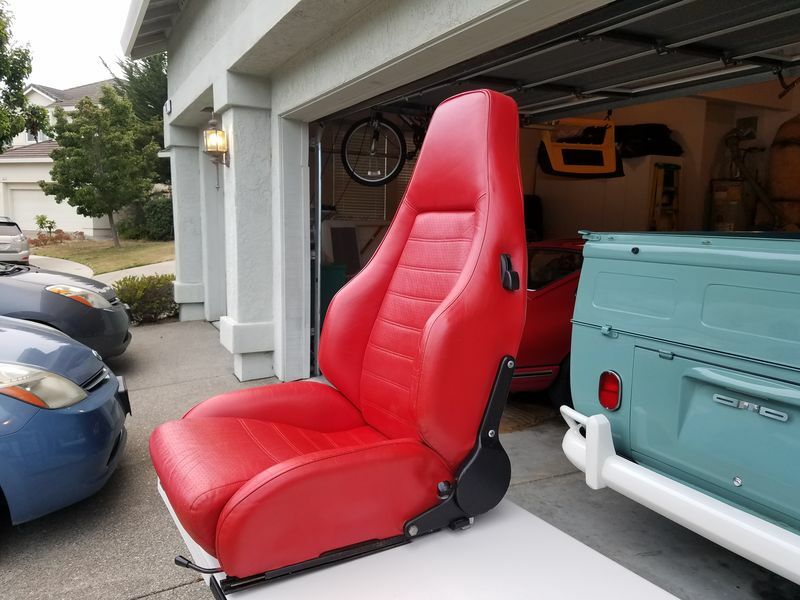 Every piece has been re dyed to match with exception of rear package tray. Bought the set years ago for a 930 project that changed direction. All panels are neatly styrofoam wrapped & boxed. I took the driver seat out so you can see quality & shade of red. 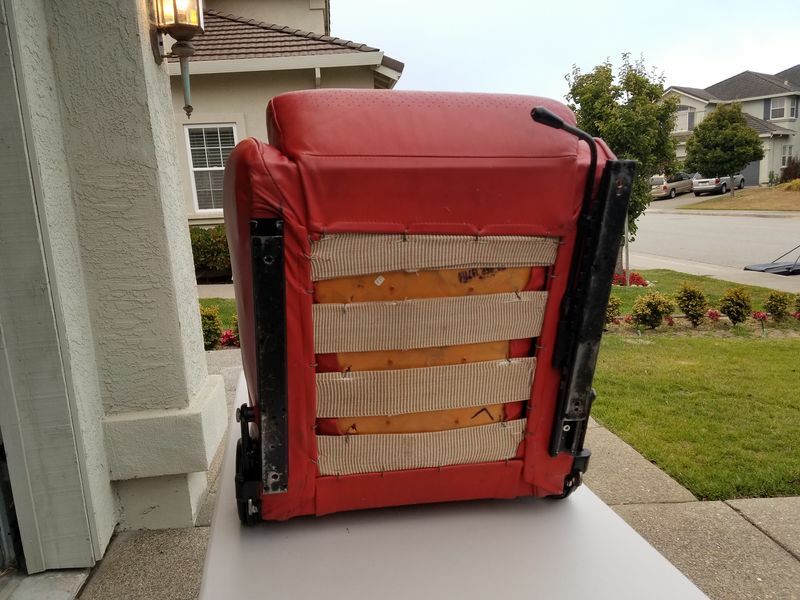 $4K plus shipping from 94080 is a real deal to make up for my laziness. They look like can can ? But not lobster ? Im in South SF CA 94080, really all you need is the top dash, re dye both the dash & rear package tray & call it a day. Any idea of if I would be satisfied, completely dying it black, after you have already applied fresh dye? 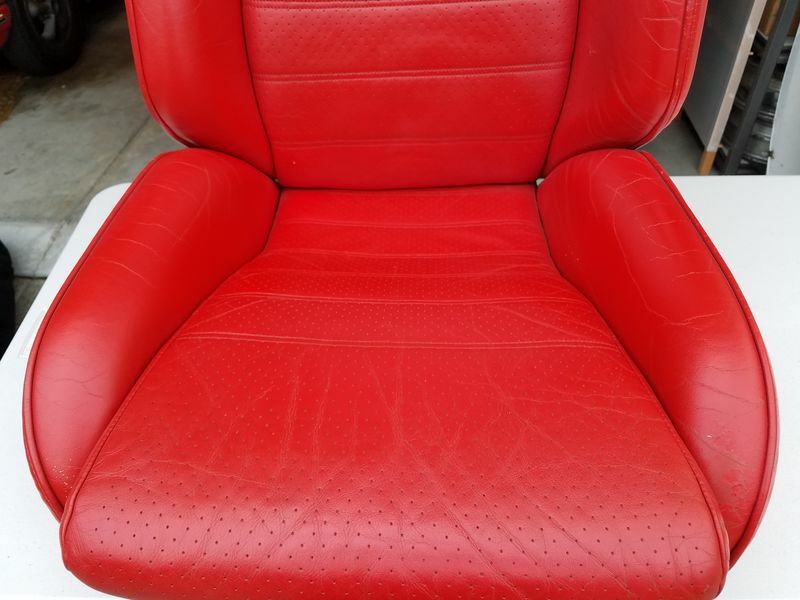 Just to be clear...its red leather to start with thats been restored. Hope this helps. 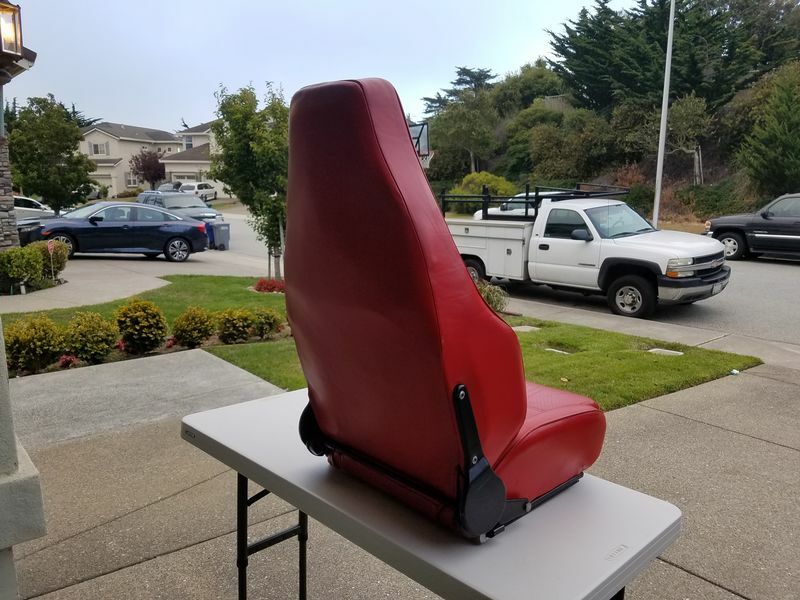 How much for just the front seats? Wow, those are sweet. Great deal for the right car! 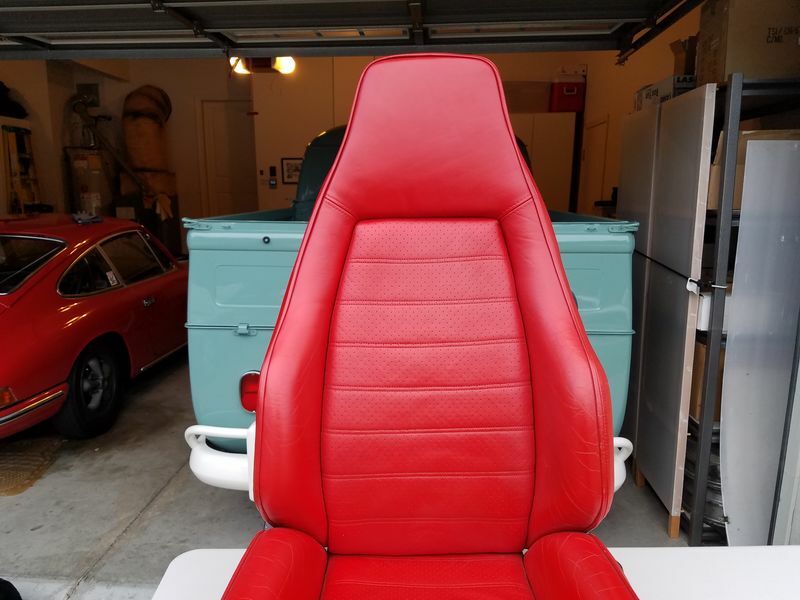 all PMs replied to...This is really a very nice set in factory red leather. If these were for a car with manual windows and locks, I'd be all over it. Gorgeous. I will be uploading updated pics later today or tomorrow...Thanks for all the interest ! 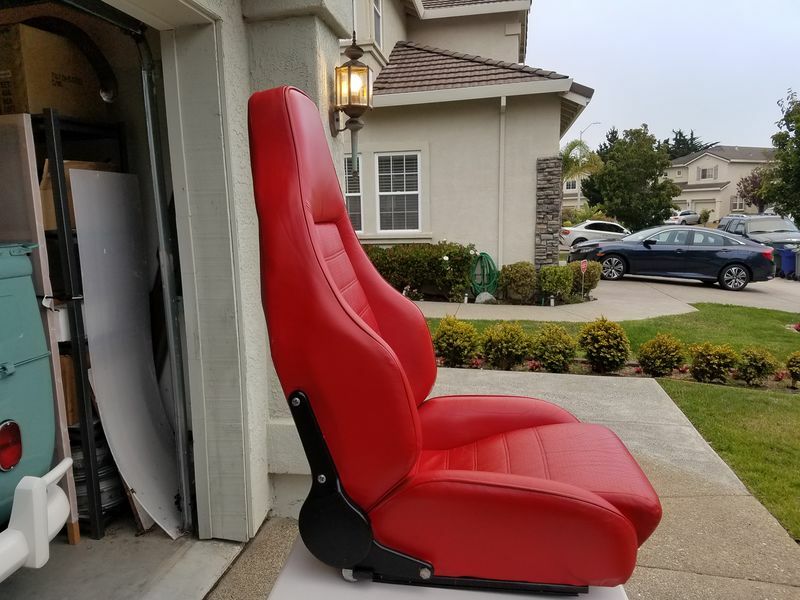 I'll take the interior if still available. SOLD to fellow R Gruppe brotha from PNW ! Thanks Brooke & Pelican ! Thanks Joey! Looking forward to putting these into my black '74 wide body hotrod project. Al - I think so too.